‘I'm not a teacher: only a fellow traveler of whom you asked the way. I pointed ahead - ahead of myself as well as you.’ ― George Bernard Shaw Teaching is a noble profession. Few people make as much of a formative and positive impact on children’s lives as teachers do. Yet not everyone is cut out to be a teacher, and many who are find that the working conditions are far from ideal. Fortunately, there are other ways to make tangible difference in children’s lives without becoming a teacher. You too can point ahead as George Bernard Shaw wrote, and help children learn and grow. It’s all about understanding your options. As the following career paths prove, it is possible to work with children without being a teacher. Why not give one of them a try? Fancy yourself a talented wordsmith? Then becoming an author of children’s books could be an ideal career path for you. Josh Lacey is the author of several books for children and when he’s not writing in his study, he’s out visiting schools, talking to children and teaching creative writing classes. Morris Gleitzman, another accomplished children’s author, also spends a considerable amount of his time in classrooms, talking and working with children. Indeed, Gleitzman believes that going out and speaking to children is an essential part of his job because ‘writing for young people means that every three or four years an entirely new readership comes along.’ You certainly don’t need a teaching degree to become a children’s author, or any degree for that matter. All you need is an imagination, a passion for writing and an interest in communicating and working with children. Becoming a tutor in a learning centre is also a wonderful way to join a community of passionate educators, professionals and families who really care about achieving better outcomes for children. You can learn more about becoming a tutor here. Adults aren’t the only people who struggle with mental and emotional problems. Many children deal with psychological disorders, stress and other trauma that can impact their ability to learn and develop. Indeed, official statistics show 1 in 8 children in the UK report symptoms of mental ill-health. Child counselling (or child psychology) is a type of counselling that helps children manage and overcome mental and emotional problems using special techniques, such as play therapy. Child counsellors typically work with children to help them become more mentally and emotionally stable, overcome grief and manage mental ill-health. To become a child psychologist you’ll need a degree in psychology (from a course approved by the British Psychological Society) and a background in counselling at a minimum. You may also need further graduate qualifications and professional accreditation before you can start practicing. It’s an ideal career path for people who love a good challenge and want to help children develop into healthy, happy adults. 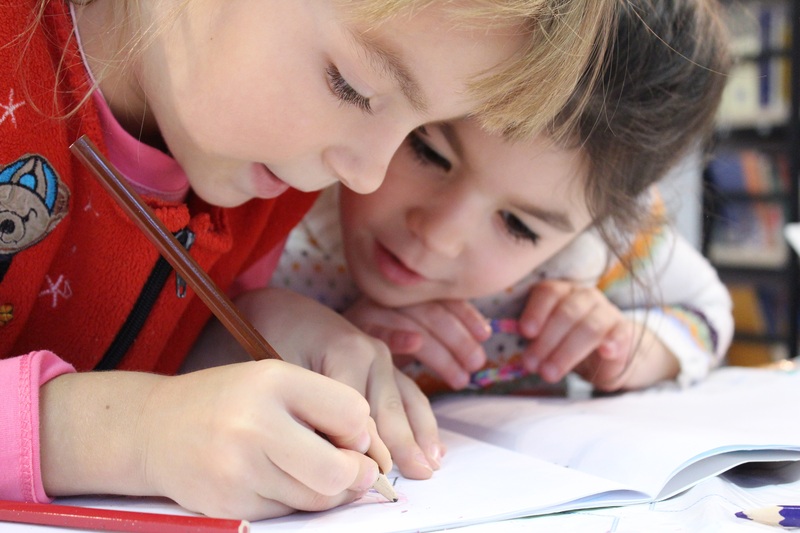 Open a franchise learning centre where children can work with tutors to develop their Maths and English skills, their study habits and their confidence. You don’t have to be a teacher or a childcare professional to start a business working with children, anyone can do it. All you need is passion, perseverance and a few business skills; this guide can help you if you’re not sure where to start. Why settle for something else? Opportunities abound, and you can work with children without being a teacher. Don’t let your qualifications or professional background deter you from pursuing a rewarding career working with children. There are ways to work with children without being a teacher; you just have to know what they are. We’ve suggested merely a handful of alternative careers to classroom teaching; there’s so much more you could do. So whether you’re just starting out or planning a career change, now is the time to start moving and start doing something you love.